New in 2016, A1 Al’s Pheasant Ranch completed construction on a new state of the art, 20,000 sq. foot lodge. 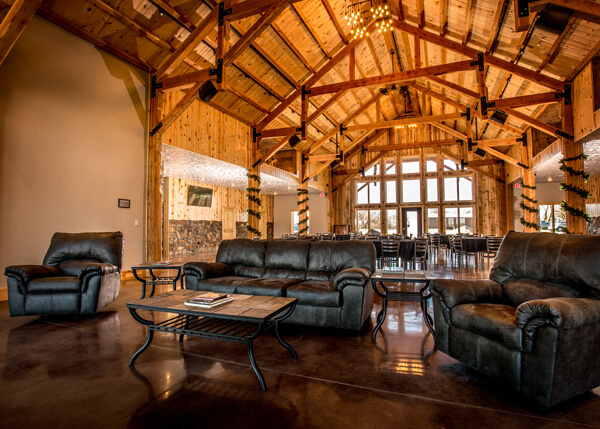 The lodge features a grand hall for guests to enjoy meals and relaxing by the fire after the hunt. A bar/recreation room, commercial kitchen, private kitchen (if you like to cook a little yourself) 20 bedrooms with private bathrooms and showers, a conference room and two separate commons areas if your group wants more privacy. For more details including rates and availability, please get in touch with A1 Al’s today! Call 605-940-4268 or send us an email. Interested to see where you will be staying? Check out our photo gallery and 360° virtual tour!